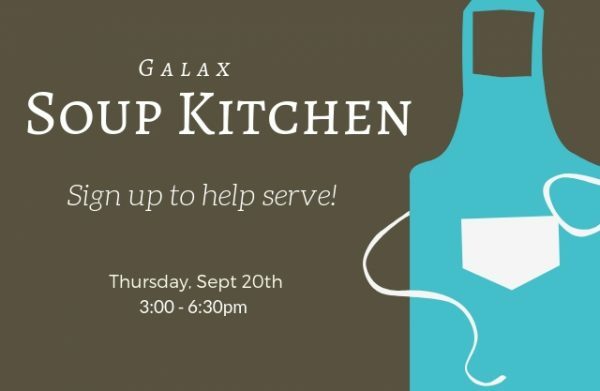 For Cornerstone Kids and their parents – On Thursday, September 20th, our children’s ministry will be preparing and serving the meal at the Galax Soup Kitchen. This is a great opportunity to serve in our community with your child(ren). There are many ways to help! Click here to sign up. If you have questions, please contact Brandy Waller at 276-238-7852. All food must be dropped off at the soup kitchen by 3:15pm.